Board Meetings can be a time consuming necessary evil. From planning the agenda to recording the minutes and finally tucking them away in a safe a secure location. Once a process is in place, it can go untouched for years. Regardless of the number of times you meet annually, we can help you organize your board minutes, even if you need to redact certain information such as social security numbers etc. Our easy on-site paper to electronic conversion gives you a full text searchable digital archive available for private, local, or public access. Searching your board minutes has never been easier! Just type in any string of text, and see your results in seconds. You can also easily eMail and track documents with this application. Please feel free to contact Data Systems Management for a free on-line demo at your convenience. Contact Annette Walker at 601-573-6130 or Al Theriot at 504-909-9387 for your demo today! The beginning of a new year is so exciting! This year is no different. Soon the Mississippi Chancery Clerks will meet. February 5-7 at the Jackson Marriott. Look for our booth and take a minute to chat with Al or Alan. As always, we are looking forward to seeing you there! The ability to acquire and own property in the United States is a freedom that we often take for granted. “A man’s home is his castle” rings true as property ownership in the past was only reserved for lords and kings. The protection of that ownership depends upon a reliable system of the accurate recording of all transactions that identify and track all rights of ownership to the property. The official recording of these instruments is typically handled by an elected or appointed official of the county or parish such as the Chancery Clerk in Mississippi. Historically the recording of this information has been a paper intensive process whereby all the documents are stored in large volumes of books cross referenced by even larger index books that recorded the grantor, grantee, section, township, range etc. of the instrument. Modern digital and scanning technology now allow many counties to store these documents in an electronic format thereby eliminating the bulky volumes of paper documents. 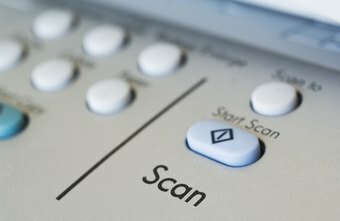 These new electronic scanning systems are typically called a “Land Records Management System”, or LRMS. Data Systems Management has recently completed the development and installation of our LRMS referred to as ProntoRec. We use the term Pronto because our system is FAST, easy to learn, and completely browser based graphical and cloud enabled. We extend the application beyond the capability of most existing systems by providing the ability to not only search by the typically keyed indexes on grantee, grantor, etc; we utilize OCR (Optical Recognition Technology) to allow the search and retrieval of any instrument by simple searching for any word, document, or phrase. Yes, internet search functionality is a standard feature of ProntoRec. Maintenance. Just the very word itself brings up dreary thoughts of things like home improvement, home maintenance, vehicle maintenance etc. etc. etc. The list seems never ending! With the help of Data Systems Management, your system maintenance can be a breeze! We are here to offer our help along with IBM and are here to keep your systems covered under a maintenance contract. Let’s be clear here, There are actually several different maintenance contracts that need to be reviewed annually to ensure you are not left without coverage. So let us begin with the most important one. What is it and how does it benefit me? 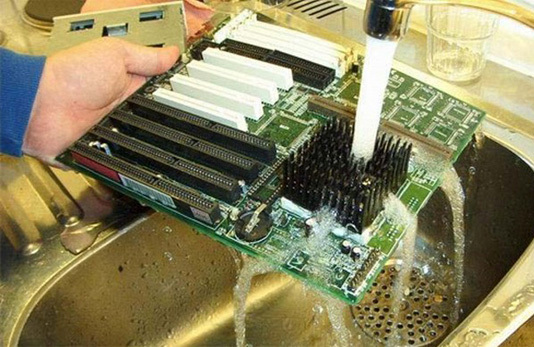 To begin with hardware maintenance is the coverage you need should anything go wrong with your server. You will need an IBM representative to show up and help diagnose the problem your machine is having. Not having the maintenance coverage is not an option. this coverage can pay for itself in one on site visit. Software maintenance is critical in the event there is an update that is done and requires a tad more expertise than your office has or should there be a bug in the update etc. Again, the maintenance contract can pay for itself in one on site visit. Again, any update done by DSM on our software may contain an element that does not work properly with your exact system. Even though we extensively look at each client’s system and take all things into consideration, an older server can create a problem with an update that is totally unexpected. so just like in the above statement, signing a software maintenance contract with DSM on an annual basis is an absolute must. With laws that constantly change, programming has to constantly change. Any of these changes could create a problem with your server and that is not the goal we are trying to reach. In essence, the moral of the story is to keep your maintenance contracts under close supervision. I know its just one more thing on your plate to think about so the changes I have made here at DSM promise to make this as easy as possible on the client. Annually DSM sends out a letter asking for your DSM software renewal. We ask that you read and sign the contract. This will only take a few minutes of your time and it will increase your level of security in the event of a problem. This is the software you work on everyday. The software that operates your programs like payroll, tax, justice court, and your financial packages. Think of your DSM software renewal as your daily insurance program. This one gets a bit trickier to keep up with, so I have created a system by which I track who has coverage and when that coverage expires. It even tells me if the coverage is for 1 year, 3 years or 5 years. It lets me know if you have 9×5, M-F coverage or if your coverage is 24×7 coverage. As I stated it gets a bit trickier so I decided to take the bull by the horns and create a system for keeping you up to date on your coverage. You will see a letter from me 90 days prior to your coverage expiring and each 30 days thereafter you will receive additional notifications letting you know that your maintenance is up for renewal. This maintenance includes your actual hardware and your software. The software I am speaking of here is the actual operating system software. Think of this as a type of car insurance. Just like your auto coverage, this contract covers your car and the engine so to speak. the seen and unseen parts of your computer. Now that your understanding has been refreshed on the value of maintenance coverage, please feel free to contact me at 601-573-6130 or awalker@datasysmgt.com to find out when your particular coverage expires. I look forward to hearing form each of you very soon!